Meet Rhett Barkley. 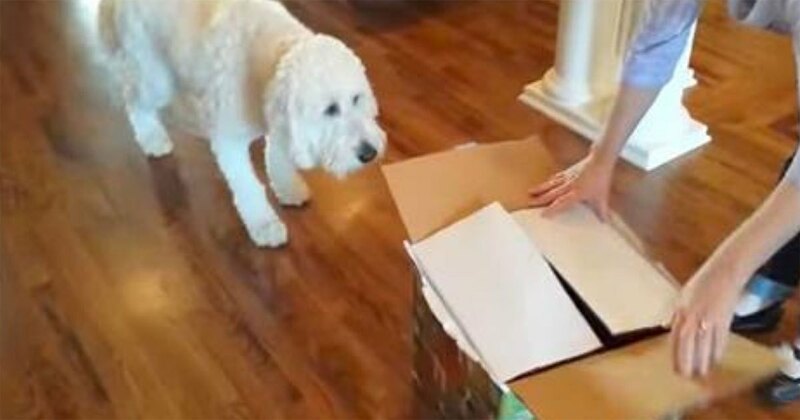 This beautiful Goldendoodle loves his family, and they love him back. It was his birthday recently, and his owners went one step further for his present. 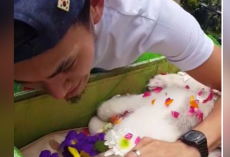 The precious pooch got the surprise of a lifetime, and his reaction is just precious! His owners thought that Rhett needed a playmate, so they decided to get a second dog! 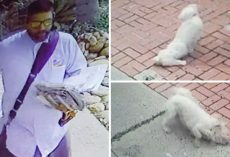 Wait till you see how Rhett responds when he spots a Goldendoodle puppy right before his eyes! Check out this adorable VIDEO BELOW! Did this bring a smile to your face? SHARE this with your friends and family to spread a smile! 🙂 …and feel free to share your thoughts with us in the comments! In our case Chloe will simply swallow her present.